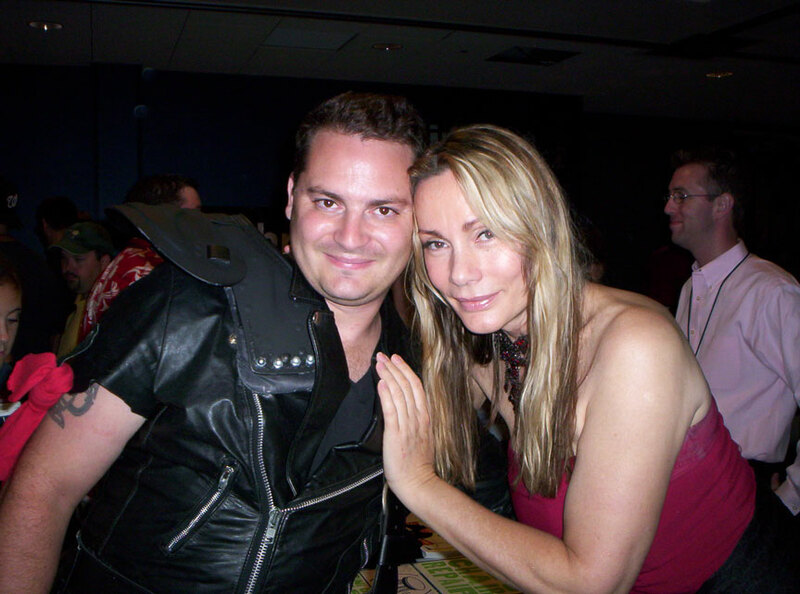 I was at my yearly sci-fi convention this past weekend, and by far the highlight was meeting Mrs. Virginia Hey. (Though I confess I don’t know if she is a ‘Mrs.’ or a ‘Ms.’. What kind of a fan am I?) At any rate, the line to the “Walk of Fame” where all the actors greeted their fans was moving fast. I donned my Max costume from the Road Warrior for this historic event and hoped that she wouldn’t think I was some weirdo. My eyes scanned the room to the place where she would be sitting, and there she was. Virginia Hey. The Warrior Woman. She was smiling a brilliant smile as she talked with a fan. She did not look like The Road Warrior was filmed twenty five years ago. The woman looked damn good. I could easily see how she earned the part of a fiercely beautiful warrior woman. I made my way over to her table with my heart beating a mile a minute. I was about to meet with one of the prominent actors from my favorite movie, I was about to talk with Virginia Hey! Me, a simple, humble fan. Suddenly, the fan before me walked away and I stepped up. She looked at me and I looked down at my costume, then I smiled at her with a ‘You’re out of uniform’ expression on my face. She flashed me a smile that seemed to light up the whole room as she said “Oh, you look wonderful; what a costume!”, and my brush with fame was on. I had been checking the guest roster in the days prior to me leaving, but it wasn’t until the day I left that her name was added to the list. To say I was pumped is like saying the Interceptor was a cool car. Meeting her by itself would be worth the 700 mile, 10 hour trip. All the way on that long drive I imagined this moment, and here it was. I thanked her sincerely, then I asked a question that I never thought would, or even could, be answered. “Could you tell me if Warrior Woman was ever named, or did she even have a back story?” And then fate had its evil way with me. Mrs. Hey had to be on a Q+A panel shortly, and she had to go. But she graciously invited me to come back in a few hours and she would fill me in. 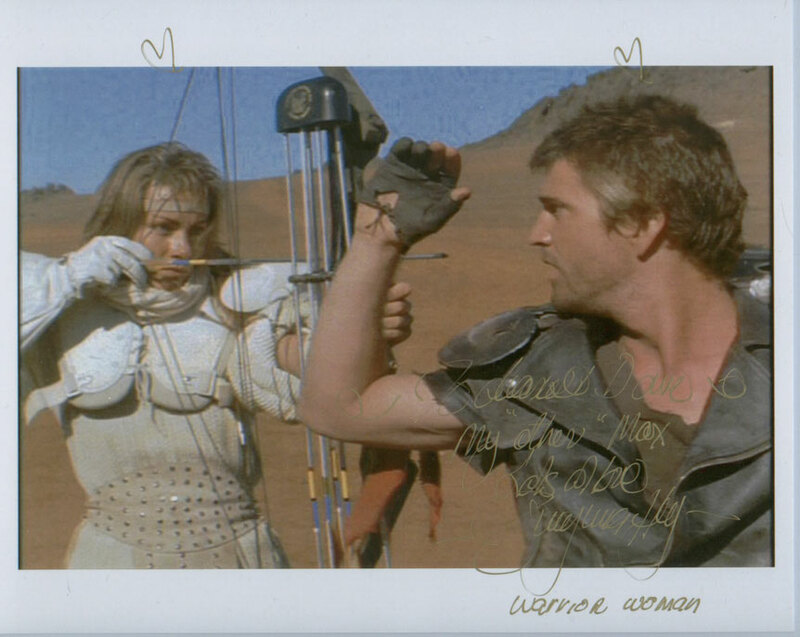 Soon, I would be privy to knowledge that very few, if any, Mad Max fans knew of. I shook her hand again and thanked her for her time. I told her I would be back. And how the hours dragged on. I toured the dealer’s rooms; wasting time like time has never been wasted before. I bought lunch and forced myself to eat slowly. I waited until I thought it would be OK, then another half hour just to be sure. Again, I hung back until there was no one else in line. I didn’t want another fan to miss out because I was taking up all of her time. Now it was my turn to smile. She had so selflessly shared with me a very important part of her character, and I think I felt like the guys did when they were hanging out with Vernon Wells. No offence to Mr. Wells, but Virginia Hey has him beat in the looks department. So take that, guys! I thanked her yet again, trying not to gush like any number of fanboys out there. I hope she didn’t think that of me. Not wanting to take up any more of her time, I smiled and said my good byes. Once more, I was treated to this very classy lady’s engaging smile. To me, Virginia Hey is not only a Warrior Woman, but a wonderful woman too.